October 2018 - Work Smart. Live Smart. 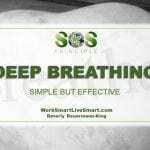 Let's Talk Month Do You Think That People Have Always Been This Stressed? I am often asked if we have more or less stress than we did 100 or 200 years ago. Our lives are stressful today, but they were "way back then" as well. Life was harsh back then. One of the things that helped people to cope was a sense of support. Back … [Read more...] about Let’s Talk Together! 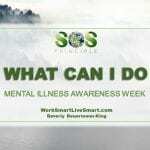 Mental Illness Awareness Week: What Can I Do? 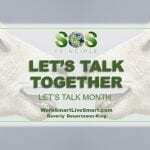 Mental Illness Awareness Week For many years, I was the educational consultant to the Canadian Mental Health Association in Toronto, Ontario. In that capacity, I developed several mental illness awareness workshops for frontline workers, agencies and caregivers. 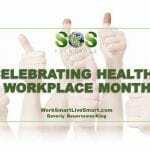 The most satisfying part of that role was going into a group of … [Read more...] about Mental Illness Awareness Week: What Can I Do?